Hours: 16 hours per week during term time (30 weeks per year), 8 hours per week during holidays (22 weeks per year) with the potential for additional project work and development of core role dependant on funding. Fee: The fee for the hours above will be in the region of £10,450 per annum. The successful candidate will be expected to invoice on a monthly basis, payment will be made in arrears for the hours completed that month. Employment status: Self employed – part time. The Assistant Dance Development Manager will be a committed, creative and highly organised individual. They will play a key role within a small, hard working team who are committed to the delivery of activities that inspire creativity and confidence in those who find it hard to access mainstream society. The role supports the ActOne approach, encouraging individualised learning and development and overcoming barriers to participation. The Assistant Dance Development Manager will work closely with the Dance Development Manager, Administrator, Development Manager and Artistic Director to support the running of the organisation and delivery of activities. 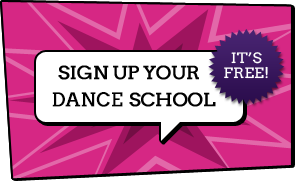 During term time, they will deliver ActOne’s DanceBase Watford sessions and provide mentoring and support at ActOne’s DanceBase Ware sessions. Additionally, they will work for 8 hours per week in an administrative role, supporting the project management and marketing of activities. Supporting the promotion of ActOne’s activities through publicity and public relations including trade and other events (county and national) electronic and printed collateral and direct marketing. Attending conferences and training where required. This position will close for applications on Friday 31st July 2015 at 3pm. Please send us your CV with a covering letter to say why you are suitable for this role. Interviews will take place on Friday 7th August 2015.